At BLR’s 2019 Workplace Violence Prevention Symposium, which took place on March 14–15 in San Antonio, Texas, Civility Partners founder and CEO Catherine Mattice-Zundel, SPHR, SHRM-SCP, delivered a session urging employers to broaden their approach to workplace violence prevention. She encouraged employers to be proactive in how they address incivility, bullying, and harassment before they escalate to more severe forms of violence. Harassment and bullying in the workplace are quite pervasive, but the extent of the problem is often hidden. Citing statistics from the Society for Human Resources Management (SHRM) and the Equal Employment Opportunity Commission (EEOC), Mattice-Zundel emphasized that approximately 75 percent of people who feel harassed at work never report it. A number of personal and organizational barriers contribute to this lack of reporting. Fear of retaliation is among these, but it’s not the only deterrent. The workplace is generally an environment where logic, objectivity, and metrics rule, but the subjective experience of being bullied or harassed is often quite emotional. This pressure to speak logically can make reporting harassment or bullying more difficult. Other factors that suppress reporting can include personal career risk, skepticism—often based on prior experience—that a complaint will be addressed, and organizational culture barriers. In addition, the silence of bystanders who witness but are not the targets of bullying or harassment functions to send the message that the behavior is tolerated in the workplace. Harassment and bullying are essentially the same behaviors, noted -Mattice-Zundel. Both are characterized by unwelcome conduct that the victim must endure as a condition of employment and that is severe or pervasive enough that a reasonable person would consider the environment intimidating, hostile or abusive. The distinction between the two is the target. While victims of harassment are targeted based on a protected class such as race, gender, or religion, the victims of bullying can be anyone. Harassment is prohibited under federal and state employment law, while bullying is generally not, but the impact to the organization—and to the victim—can be equally damaging for both behaviors. For organizations, direct and indirect costs can include lawsuits, workers’ compensation claims, lowered employee morale, absenteeism and presenteeism, and increased employee turnover. For individuals, the bullying and harassment can harm both physical and mental health, from depression to post-traumatic stress disorder (PTSD) to heart attacks and high blood pressure. Although no industry or organization is immune, three industries that often display many of the risk factors for bullying are higher education, government, and healthcare. Bullying and harassment do not typically emerge without precursors. Both behaviors are often preceded by lower-level incidents of incivility and unprofessionalism. While not every rude comment or terse email is a warning sign of a potential bullying or harassment situation, failing to address these precursors sends a message that this behavior is accepted in the organization and can give tacit permission for escalation to more serious and pervasive behavior patterns. The key for an organization seeking to prevent these damaging behaviors is to foster a culture where respect and dignity are at the forefront of all interactions in the workplace. Although creating policies that prohibit bullying and harassment is an important step, Mattice-Zundel emphasized that it’s equally important to specify what you do want—namely, respectful communication and treatment of all employees. 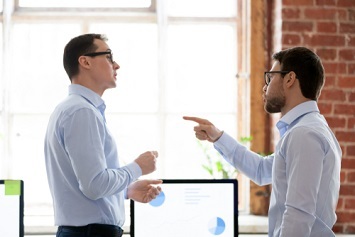 A workplace culture that promotes civility and respect encourages people to speak up for themselves and others and report harassment if it occurs, noted Mattice-Zundel. Training is key to fostering a respectful culture and preventing bullying and harassment, Mattice-Zundel stated, but it must be designed around specific desired behavioral outcomes. Merely informing employees of what constitutes harassment is not sufficient, nor is training based solely around compliance objectives. Rather, training for bullying and harassment prevention should emphasize the behaviors that are and aren’t acceptable in the workplace, the importance of respect and civility, and how to address any concerns that arise. Effective training produces genuine behavior change, and for that change to be sustained over the long term, it must be reinforced. Training is just a blip in time, said Mattice-Zundel, and managers and supervisors play a key role in determining whether it leads to meaningful behavior change. A manager who regularly reinforces the learning objectives and makes a genuine effort to implement them on his or her team sends a very different message than a manager who does the bare minimum and never revisits training once it has been completed.